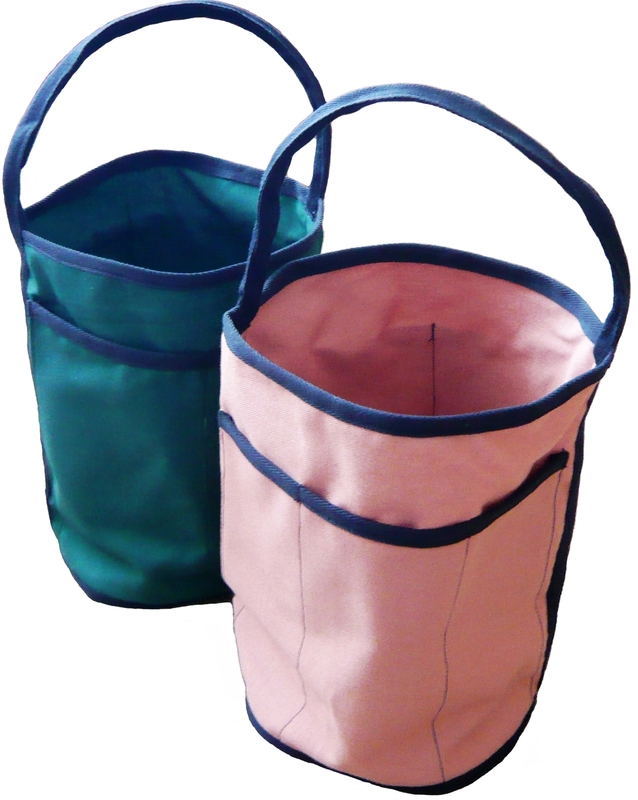 Our bucket toolbags are now available in terracotta-coloured organic cotton canvas and bottle-green coloured cotton canvas. 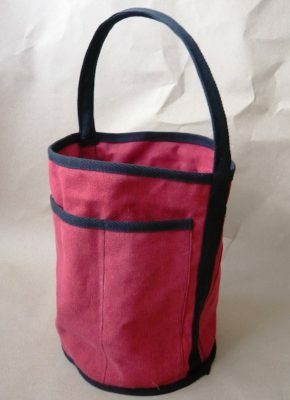 We also have a few made of red hemp fabric. All come with a removable base, five pockets and black cotton binding.